Here’s something fun for your Friday – the proposed design for the symbol of the 2016 Rio Olympic Games. 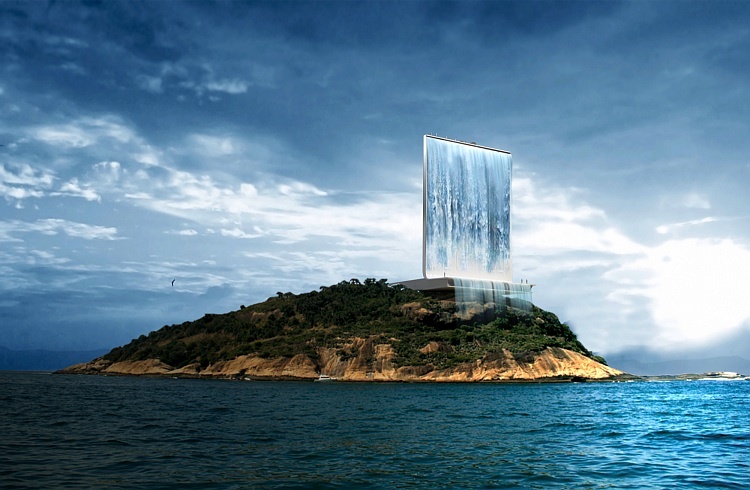 Dubbed “Solar City Tower,” this will be a monument to Rio’s historical role as a leader in the environmental movement. Rio hosted the United Nations Earth Summit in 1992 and held the United Nations Conference on Sustainable Development this year. Solar City Tower is being designed by RAFAA, a Swiss architecture and design firm. Here’s the cool part – the tower is expected to provide energy for the entire Olympic village. The tower will be covered in solar panels, which will produce electricity during the day. Any unused electricity will go toward powering hydroelectric turbines, which will produce electricity at night. Now wouldn’t it be great if they also installed piezoelectric tiles in the floors to capture electricity from everyone walking around? Just think, this structure could allow Rio to have the first modern zero-carbon Olympic Games (after all, I’m thinking the Ancient Greeks accomplished that feat quite some time ago). Of course, the creation of the materials and the global travel of millions of spectators will result in significant CO2 emissions, but the Games themselves could be completely zero-carbon. Then, once the Games are over, the electricity generated could be fed into the city of Rio’s own grid, boosting its reliance on renewable energy. If this building is a success, I think it will serve as a beacon to the rest of the world that renewable energy is not only important, but is feasible on a large scale. Cheers to that!